The countdown starts! it’s the end of the year 2018 and the beginning of a new year 2019 ! it’s high time to write your wishes for a new year for those who mean a lot for you. Up to you to choose the following texts of wishes for the new year. Happy New Year’s party and Happy New year to you and to those you love! I wish that all your dreams be realized and that joy reigns in your hearts! A new year?! It is high time for new resolutions to be established to dream of the best! And to try new things, may this New Year be the best for you! Happy and nice new year 2019. Starting point for a dream destination on board the flight of happiness for a whole year! Prepare your luggage and don’t forget love and the joy of living. Happy New Year 2019! I wish you a fabulous year 2019. A new chapter will be opened to you to write a new story or even, new experiences .Happy new year 2019. I wish that this New Year be full of intense joy and happiness! Good bye 2018 and welcome 2019! Life is short, enjoy each moment. I wish you plenty of love and friendship. Live your life hundred percent and regret nothing! May this New Year bring achievement of your projects and an accomplishment of your dreams? I wish you intense joy surrounded by those you love! A new year for a new momentum! A new year to live nice experiences and discover new things to enjoy life fully and to create precious memories. Wish you a happy new year 2019! 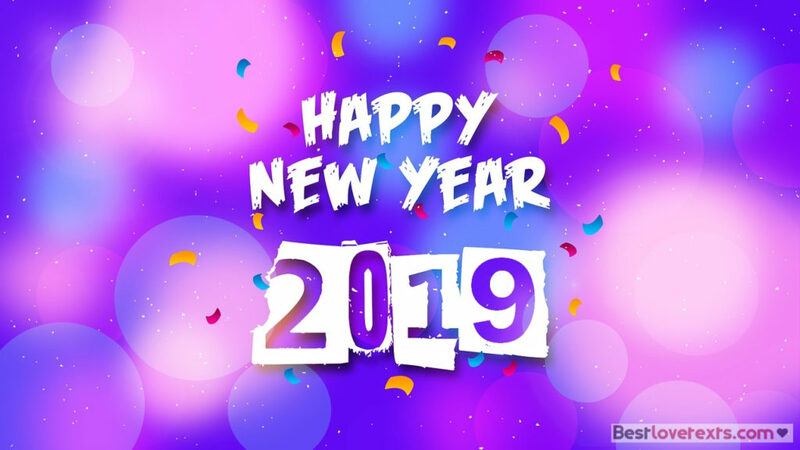 In 2019 I wish you the best! May this New Year be full of joy and cheerfulness? May love be on time and bring softness to your days! May the road to the New Year be strewn by moments of happiness and joy for you? May they be enlightened by the love light and the stars of friendship! Happy New Year.